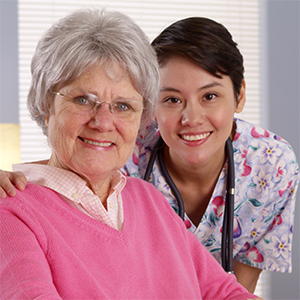 Want Assisted Living at home in Toronto and North York? - Do it your way! Can you get Assisted Living at Home? Assisted living is a term describing a type of help that is delivered in a residence or facility. Assisted Living residences offer housing, hospitality services and personal assistance to adults who can live independently, but require regular help with daily activities. There are a little over 50 assisted living residences in Toronto. Assisted living accommodation can range from private rooms with lockable doors in a home, to an apartment-style building with private self-contained suites, usually with their own bathrooms and cooking facilities. Assisted Living operators provide five hospitality services: meals, housekeeping, laundry, social and recreational opportunities and a 24 hour emergency response system. Residents of assisted living facilities also can purchase personal assistance time for help with activities of daily living, such as eating, dressing, bathing, grooming and mobility, and reminders or assistance with medications. Assisted Living is intended for people who are able to choose and direct the services they receive. Assisted living as it exists today emerged in the 1990s as an eldercare alternative for people who cannot live completely independently, but are too young to move to a retirement home. Retire-At-Home Services Toronto and North York can supply these assisted living services in the comfort of your own home. Assisted living at home. Assisted living services in the comfort of your own home? Senior home health care companies like Retire-At-Home Services also provide assisted living services in the comfort of one’s own home, where historically people have lived out their elder years. Bringing in a company to help at home will allow you to “Age in Place”. Aging in place means having the health and social supports and services you need to live safely and independently in your home for as long as you wish. More and more seniors are choosing to remain home and have assisted living services brought to them. The government of Canada has published a document that may help with planning for aging in place that might be helpful. With assisted living at home, the care can be designed with flexibility to suit changing needs. As health conditions or family situations change, assisted living services can be increased or decreased to suit your specific needs. In terms of hours needed, we work with clients from as little as four hours per month to a maximum of 24 hours a day. Any days of the week can be serviced. Contact us today for a Free In-Home Consultation with a Nurse, or to find out more about your Assisted Living at Home Options in Toronto and North York. Bayview, Bloor West, Bridal Path, Casa Loma, Don Valley, Don Mills, East York, Forest Hill, High Park, Leaside, Leslieville, Riverdale, Rosedale, The Beaches, Toronto Downtown, The Danforth, York Mills, Yorkville and other surrounding communities.